I have a confession to make. It’s really hard to raise a bilingual kid especially when there are limited language learning opportunities. So today my friends, I’m sharing with you the ups and downs of this crazy bilingual journey. Mommy I can read in Spanish! We’ve all heard of the proven benefits of speaking a second language, and that high proficiency can be acquired in an immersion setting but that’s not always possible. Especially when the second language is the minority one. As a parent raising a bilingual child what to do? I had the wonderful fortune of finding Spanish speaking friends for my son. Their first very first Spanish playdate was a success, and I eventually ended up babysitting two of the girls. Babysitting once a week turned to five days a week. During this time my son was speaking to them only in Spanish. I even had them watching Spanish cartoons, and listening to Spanish songs. Never in my wildest dreams I could imagine writing about my son’s “secret” language: Spanish! When we started our bilingual journey I had my heart and soul in providing for him a Spanish immersion experience. It was an unfathomable feat considering we were living in an exclusive monolingual environment where opportunities to nurture a bilingual child were literally impossible. Picture on left my 7 yr. old. Picture on right when he was 4 yrs. old and we started our bilingual journey. …and guess what? It happened! It truly happened! I have a bilingual and biliterate child who communicates with me in Spanish, who sleeps talk in Spanish, and who whispers in my ear in Spanish that he’d like an extra piece of candy so that if his Daddy overhears him he won’t know what he’s saying. Ha! It tickles me when he approaches me in Spanish as if this were our secret language. Though I have a feeling that Daddy has picked up on some Spanish since Spanish is grilled 24/7 in our home. My child has been using Spanish as a secret language when it suits him. 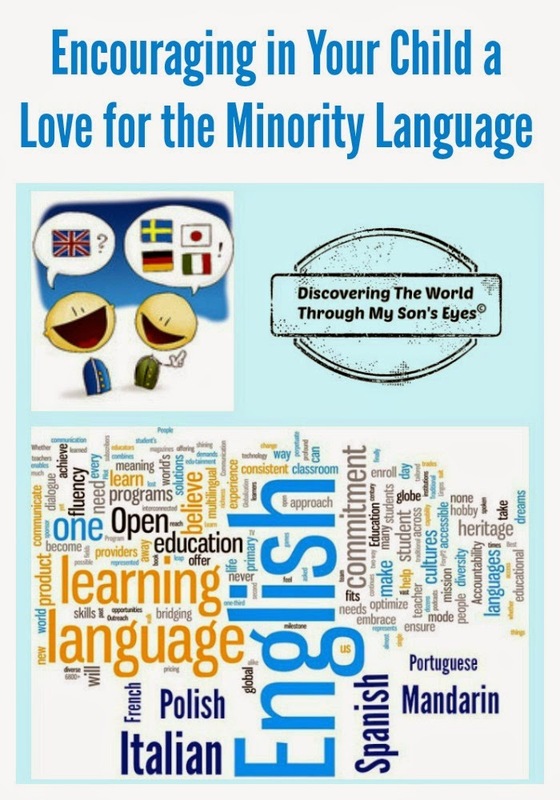 As you can read from Rita’s Multilingual Parenting post on 7 ways to motivate your child to speak the minority language he has created a need to communicate in Spanish. This is his motivator. Now on the flip side when your child is not motivated to speak the minority language follow The Piri-Piri Lexicon’s awesome tip talk, talk, talk because it works! Ute from Expat Since Birth shares tips for expats about how to encourage your child to learn the local language, and stresses on the importance of reading for multilingual children. Last but not least, Rita advises not to get discouraged, and take a deep breath when your child refuses to talk you in the minority language. Reflecting on our journey, I look at my 7 yr. old and remember when he was a preschooler who barely turned 4 yrs. old claiming he knew Spanish. Seriously, singing Dora’s song of the numbers does not constitute to being bilingual. Ha! At the time that was so far from the truth! Now, I know without any doubt or hesitation when he says, “Mommy, I know Spanish!” He really does. Especially since it’s also his secret language. 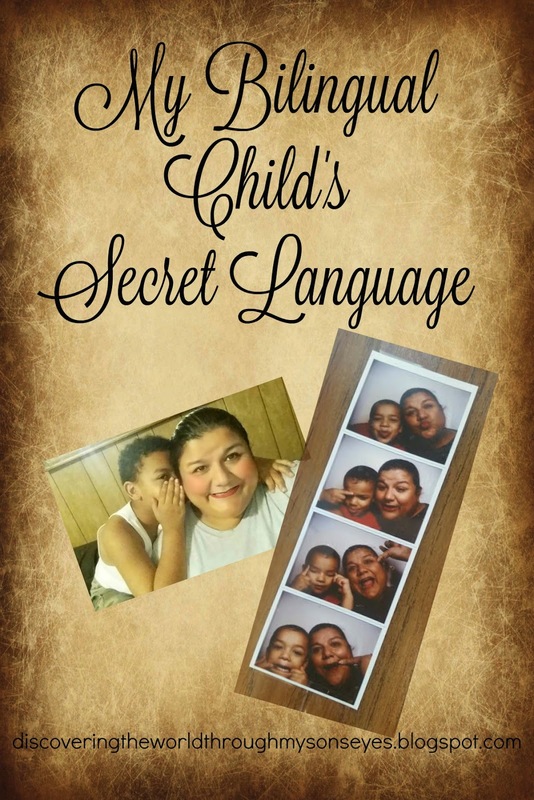 Does your child have a secret language? What is your child’s motivator? As a parent what’s your motivator? 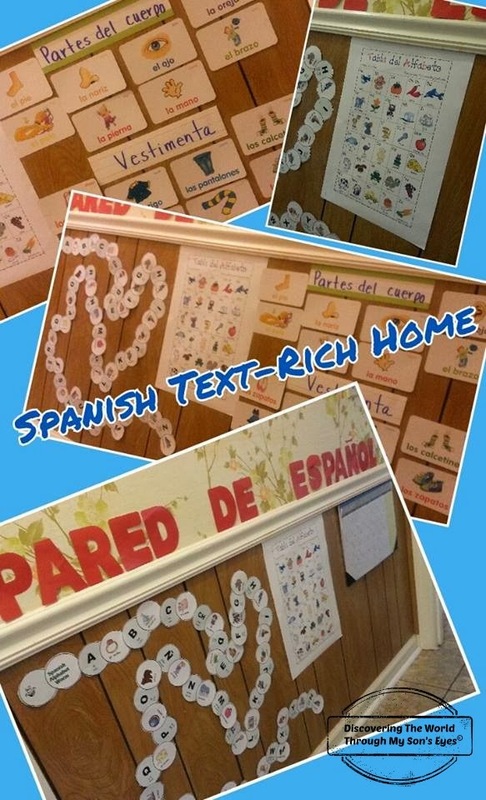 Follow Frances @ DTWTMSE’s board Bilingual Education & Resources for Teaching Kids Spanish on Pinterest. When I talk about my child’s bilingual journey I often express how I was the “only one” who spoke the heritage language, how we were immersed completely in the community language; and how challenging it was, but in retrospect I realize I didn’t raise a bilingual child by myself… it took a village! I could have not done this without rallying up the troops directly or indirectly. You may be asking, how do you rally up someone indirectly? Read along, and I’ll tell you how. 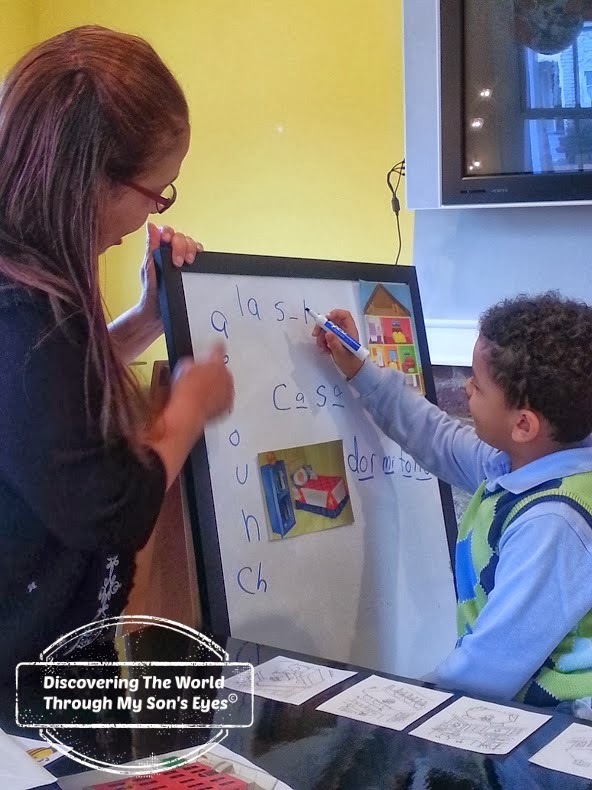 Immersion classes – I’ve said this over, and over again enrolling my child in a language immersion class kick-started his language learning. Remember, we started his journey late! His language coach was wonderful, and he loved learning Spanish! Online community – I often turned to a group of amazing mommas from all walks of life, who were also raising bilingual, and multilingual children for advice. Spanish playgroup – I was blessed to have met some friends with children who spoke the minority language, hence the Spanish playgroup was created! Extended family – although at a distance they were a great support system especially little one’s Abuela and Titi Gladys. They often sent books, and materials in Spanish to aid him in his language journey. 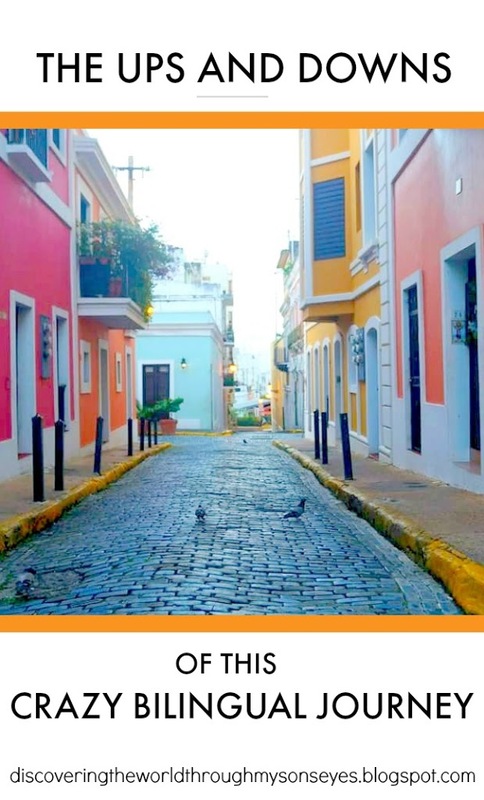 Immersion trip to our language heritage country – Being immersed and surrounded by the now community language (Spanish) worked wonders for our son. Listening to everyone from the flight attendant to our family members helped him in ways you can’t even imagine. Even weeks after returning from our trip he started saying words in Spanish that he had heard. Non-bilingual friends – these are the troops that I rallied indirectly! By creating a Spanish Summer Camp Language Program for my son’s (English only) preschool friends helped and boosted his language learning. He was my li’l helper during the program, and he taught his non-bilingual friends Spanish. This boosted his confidence by leaps and bounds. We also had bilingual playdates with non-bilingual friends for the same reason. I was never really alone in little one’s bilingual journey I had a village all along, and I have many people to thank for making this journey an amazing one! ¡Gracias! Thank you! This post was created for inclusion in this month’s “Raising Multilingual Children: Blogging Carnival” hosted by Marianna from Bilingual Avenue. Do you have a village to help you in raising a bilingual/multilingual child? Please share! 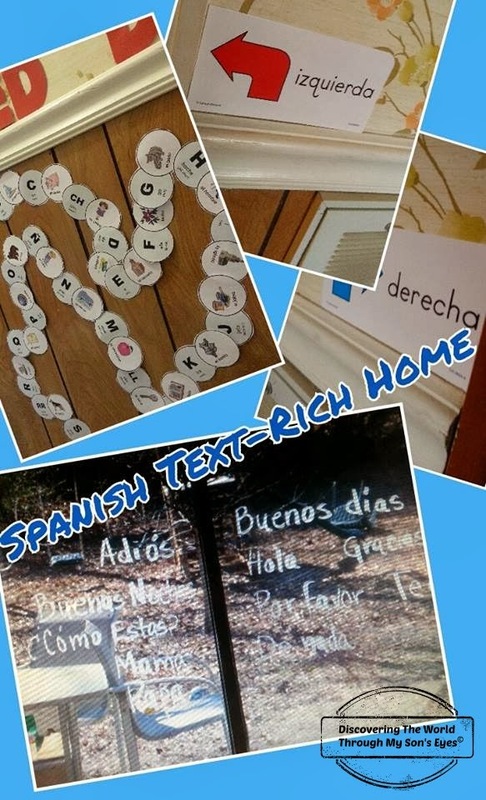 On the third year anniversary of our journey into Spanish immersion I find it fitting to share with you what language immersion strategies have worked for us, and how my child has a new-found love with the Spanish language. Photo via Common Creative: Marcus Koljonen, and Microsoft Word. In the beginning I was filled with high-expectations, and I was so nervous of the outcome because I didn’t start speaking to our son in Spanish since he was born; but when he turned 4 yrs. old. Seriously! I waited that long! This may sound like a simple and ordinary Spanish conversation, but it goes beyond the ordinary. If you’ve been following our bilingual journey you will understand. This is the child who only knew his numbers, and colors in Spanish because of Dora! I am taken aback by his natural ability to speak to me in Spanish using different phrases, and expressions. Natural in the sense that it wasn’t forced. I’m noticing now how his thoughts and feelings in Spanish flow naturally out of his lips. His native, and first language is English. However, his language of choice when communicating with me is Spanish; especially if he wants to share something with me, and doesn’t want his Daddy to know. Ha!Ha! If you’re using the OPOL method speak, speak to your child in your heritage language; which will most likely be the minority language. Enroll your child in a language immersion program. Have your child watch TV in the minority language. Read to your child in the minority language, and if possible purchase books in the minority language. Asks friends, and relatives when gifting to gift a book in the minority language. I have tons of books in Spanish that way. 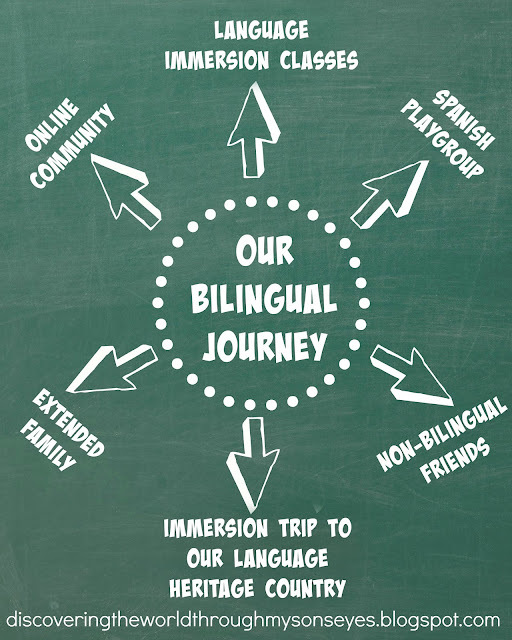 If possible, plan an immersion trip to a country where your child’s minority language is the community language. Don’t forget to check out the local book stores for minority language children’s books. Scout your child’s friends to organize a minority language play group or play date. Create a minority language text-rich environment in your home. Play music CD’s in the minority language over, and over. Trust me your child will pick-up on new words. Sing-along to the songs in the minority language. You can also play audio books to your child as well. Play games such as Zingo, and/or language apps in the minority language. If you as a parent are feeling ambitious, start a minority language summer program or book club. While I’ve shared what has worked for us. Linguist, and mama Annabelle from The Piri-Piri Lexicon shares 40 tips for raising multilingual children! I kid you not, 40! Don’t ever hesitate in your ability to nurture in your child a love for his or her heritage language. Don’t ever think it’s too late, and most importantly don’t ever give up on your child. There will be times it will look like an impossible feat to accomplish, or that your child may not be really “getting it”, but he is, he really is! Just give it some time, and both you and your child will reap the benefits. As a bilingual parent I’ve faced many challenges raising a bilingual child. Therefore, I can’t imagine how challenging it would be for a monolingual parent. I’ve been asked by many monolingual parents if they can actually raise a bilingual child, and my answer is yes, of course! When there’s a will, there’s a way! Today, I am so honored, and pleased to interview Kami Fletcher! A monolingual parent raising her two sons to be bilingual in both English, and Spanish! Editor’s Note: Kami and I met virtually on-line. She happened to come across my blog while looking for information on immersion trips to Puerto Rico. The funny part is that I remembered she commented on my blog post, messaged me on Google+ and even found my personal Facebook page and sent me a message there. She sent me various messages before I even responded to her. She also wanted to talk by phone as well, and in all honesty I thought she was a stalker! LOL (Yes, Kami I did think that of you!) I’m happy that you “stalked” me. We are now good friends, and our boys are pen-pals writing to each other in Español. Q: Are you a bilingual parent? A: Although, I took 2 years of Spanish in high school and 2 years of Spanish in college, I do not consider myself bilingual. Q: Being that you’re not bilingual what motivated you to raise bilingual children? A: We do not live in a monolingual world! And what motivates us the most is that we want out children to be exposed to other cultures BUT MORE IMPORTANTLY recognize the importance of other cultures. And the gateway to this is language! Language is so intimately intertwined with one’s beliefs and culture that to speak the langue is to appreciate and value the culture. Also, Spanish is one of the worlds languages! Besides English and Mandarin, most people speak Spanish! I wanted my children to understand other cultures than American/Western cultures. America is not the whole world. There is another world out there and the people that occupy those countries do not all speak English. Q: How old are you children? Q: What age did they start learning Spanish? A: My lifemate and I, always knew that our children would be fluent in Spanish. So when our oldest was 4 and had “mastered” English, we put him a wonderful program called Fun With Foreign Language and he SOARED! While in class, he started speaking in sentences when answering questions and expressing himself to the teacher!! He was in that program for a full academic year. He went for an hour on Saturdays from September unto April. Then we started our youngest in the program when he was 3 years old. He too, quickly caught on to speaking simple phrases. Q: As a monolingual parent, what was your “go-to” resources to start this language journey? Q: Keeping a child’s interest in any topic/subject is difficult. How do you engage your children? A: We did not have that problem in the first 2-3 years because they just LOVED the language. Our children have an affinity for languages! But as they got older 6 and 7 (with my oldest), we knew we had to keep it fun AND challenging. They will get bored if it becomes too easy. We ran into that about a year ago, when they out grew the cartoons on VMe kids. Miraculously, my lifemate found an older-kids cartoon called “Chavo” that has re-energized them! They are learning new vocabulary and are greatly entertained. Q: What challenges have you faced? A: Making sure that practice daily!! As monolingual parent, I, just like them, had to be committed to this learning. And it was important that they knew how to READ, WRITE AND SPEAK. We wanted our sons fluent! So the daily practice and making sure they are still progressing in the language and RETAINING what they have learned. This is the biggest challenge! Q: What advice could you give to a monolingual parent contemplating to raise bilingual children? A: You must be dedicated to this! 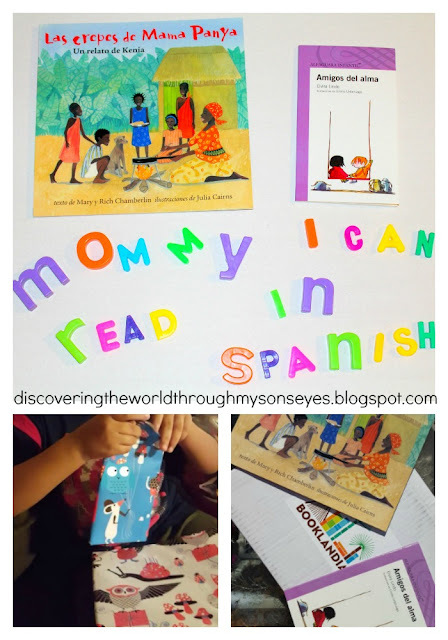 You must find ways to immerse your children in Spanish or the chosen language daily! It is a lifestyle change. Q: Can you please share with us about the Spanish club that you have started? A: Sure! My sons are voracious readers!! And they both love to read books in Spanish, so I thought what better way to immerse them in Spanish than by starting a book club. This way, they can read books and build vocabulary. I knew that I could not lead it and so reached out to people who could help. I immediately contacted the Southeast Anchor branch of the Enoch Pratt library and spoke with the bilingual specialist to first see if any such club existed. They did not have one but she said that they would support me if I started one. I reached out to the Latino community including a charter school and received help from their community coordinator (Dr. Elizabeth Obara). So the 3 of us (the community coordinator, the library’s bilingual specialist and myself) all set down. I had the vision, goals, and objectives and they helped me execute. This would be a library program and so the Club Leader must be a volunteer. It was very important to me that the person be a native Spanish speaker because I did not just want someone fluent in the language but someone from the culture and could relay that to the kids. I started this process in October 2013 and February 8, 2014 was our inaugural club meeting! It is a Spanish book club where elementary-aged children read and discuss books in Spanish that are not just translated books in Spanish BUT represent Latino heritage and culture. Which is why the mission of the group is to reinforce Spanish literacy and phonics as well as promote Latino heritage and culture via the books read. Every club session, Catalina (our awesome club leader who is an experienced teacher and native speaker) welcomes children and parents at the door and the parents most certainly stay and participate. Several books and poems are read as well as songs sang. A discussion of the plot, the setting, the characters ensure. Each class is held on Saturday morning and is 1 hour and 30 minutes and at the end everyone is offered a healthy snack which is usually fruit and water. Editor’s Note: Kami, thank you so much for allowing me you to interview you. Your determination is truly inspirational, and your beautiful family, and you are proof that monolingual parents can raise bilingual children. Your perseverance, and commitment has motivated me to start a Spanish book club in our local library! ¡Gracias amiga! 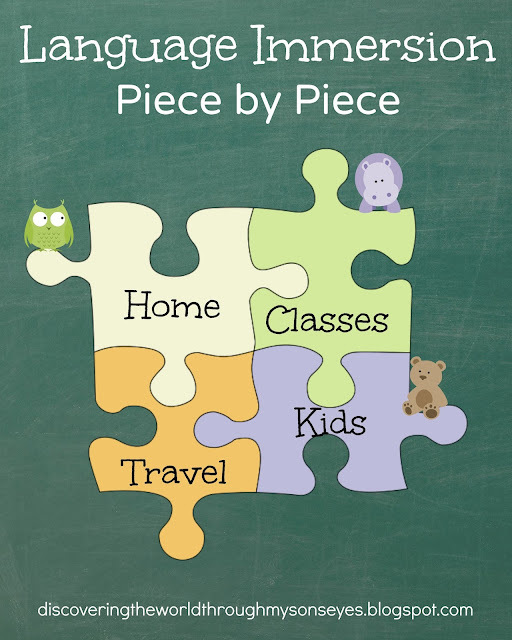 Follow Frances’s board Bilingual Education & Resources for Teaching Kids Spanish on Pinterest. This post was created for inclusion in the Raising Multilingual Children Blogging Carnival hosted by Maria Babin of Trilingual Mama. Every time my child speaks to me in full complete Spanish sentences it blows my mind! It’s been exactly a year since we ventured into our Spanish immersion journey. I can’t believe how quickly time has flown by, and how much my son’s Spanish fluency, and understanding has blossomed! It was around this time, last year that I signed him up for his first ever Spanish immersion language lessons during the Spring of 2013, and I enrolled him again for the Fall of 2013. The first session was a window to Spanish learning, the second session was a refresher of what he already knew. Now, here we are for the third session in advanced Spanish immersion! Yes, advanced! He’s graduated from the preschoolers session, and was granted a special scholarship for him to return for the advanced sessions. Although, in all honesty we had not planned to re-enroll him for a third session. He was clearly more advanced in Spanish than his classmates, and doing so would not help him progress in Spanish. However, we were blessed with a scholarship for the language center! How could we say no?! Not only a scholarship, but the opportunity for little man to go to advanced Spanish immersion! His new language coach is impressed on how much Spanish he knows. She kept praising him during the assessment, and little one was proudly showing off his Spanish! I’m confident that she will take him to the next level in his Spanish learning. Learning another language has been a true gift! It has boosted my child’s confidence, and now he is able to communicate with la familia. On my return my child tells me what just happened, and I’m still in disbelief! Until I call Mami, and she almost passed out! All she said was “¡Gracias, gracias porque ahora me puedo comunicar con mi nieto!” This brings tears to my eyes! 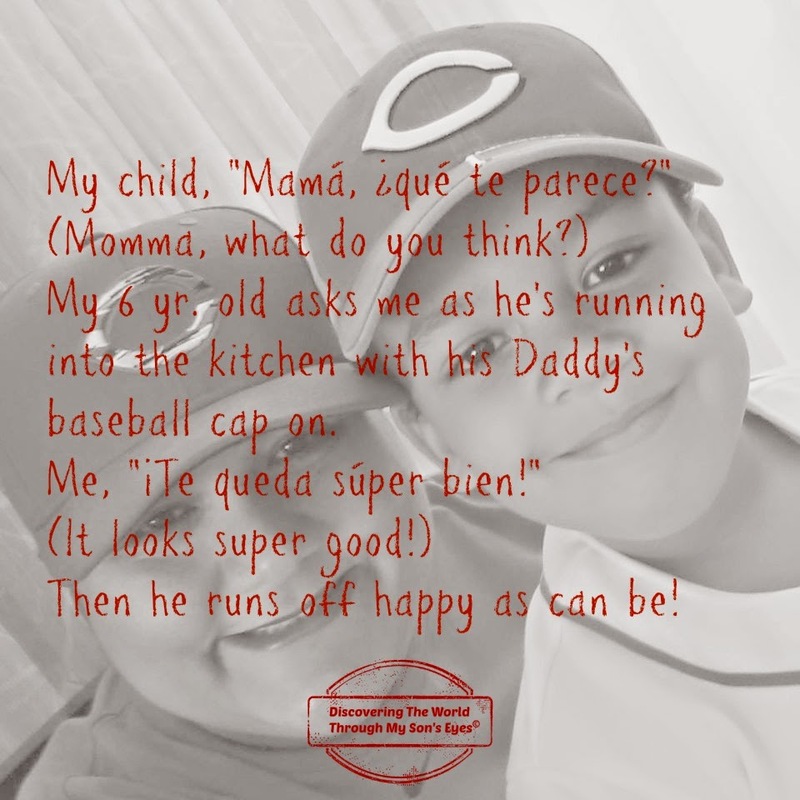 The gift of language is a connection to our culture, to our identity, and I’m so happy to have a bilingual child! I truly have a bilingual child! I’m showing off now! Look at what my bilingual child has been up-to! When we’re practicing homework in English he tends to respond in Spanish. He’s using Spanish language as our “secret” language to share with me something he doesn’t want his Daddy to know. This is too cute!!! He’s constantly asking how do you translate words from English to Spanish. He’s reading from the phonics booklet used in the Puerto Rican school system: Cartilla Fonética. To read all about our journey into bilingualism click here. 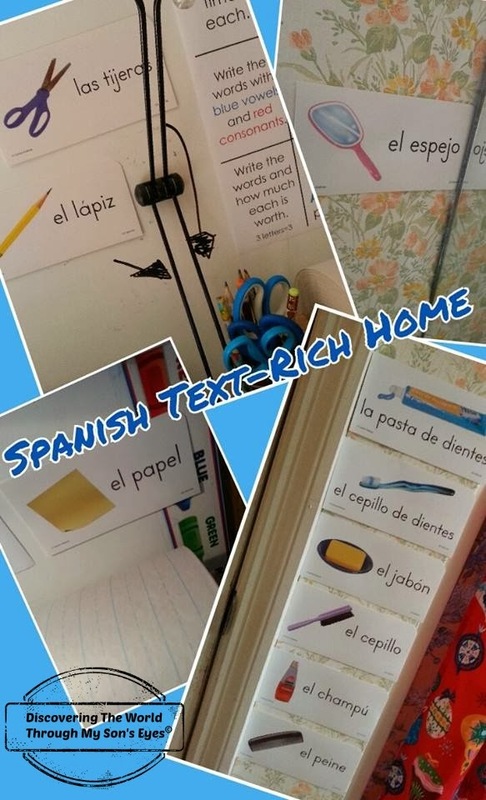 Our Spanish text-rich home. I’m taking this reading in Spanish business serious! I’m determined to raise not only a bilingual child but a biliterate one as well. 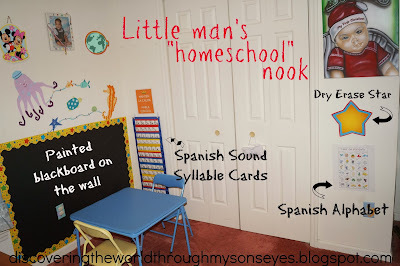 Thank you Jenny from Spanish Playground for your post on Multicultural Kids Blog that has inspired me to do this at home. We’re working on one of our goals for the New Year. What tips would you share to help your child to read in another language?